Over the past year, we’ve seen a reemergence of colour in the kitchen especially jewel tones. One new colour that’s been on everybody’s radar is green, it’s noticeable throughout numerous home interior magazines, from entire rooms to accessories and furniture. 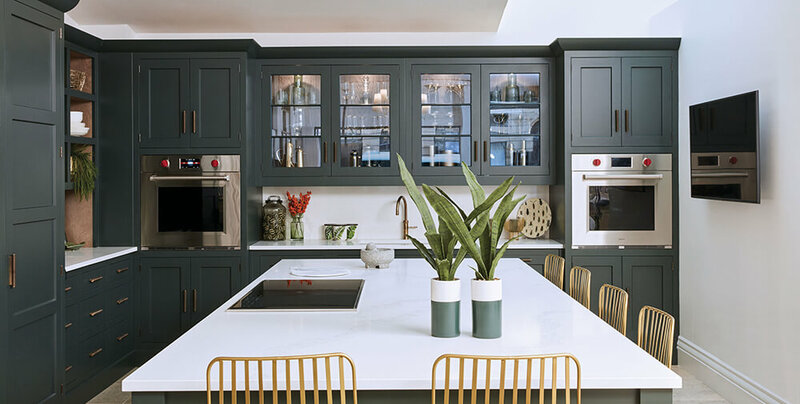 Green works exceptionally well in the kitchen where it’s organic nature brings a feeling of health, harmony and energy, perfect for a busy multifunctional space. Our Tom Howley colour palette was missing one very important shade – introducing our new colour, ‘Avocado’. Whether you prefer a traditional shaker style or desire something a little more contemporary, this simple statement paint colour can work in harmony with almost any kitchen design. 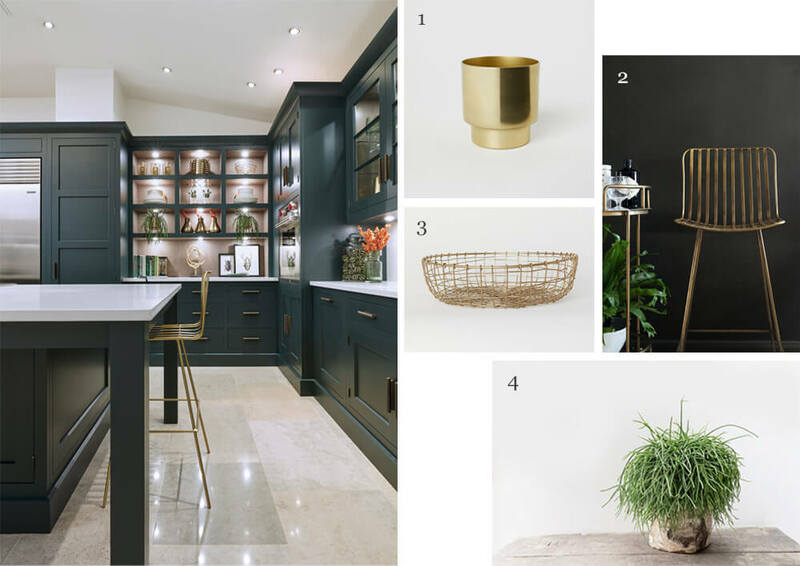 This sophisticated shade is perfect for those who want to embrace the dark kitchen trend. As seen on our new Kavanagh kitchen, it’s soft warmth works hand in hand with a dusted oak wood finish, pristine white quartz worktop and wire scroll antique brass handles combined to achieve a beautiful timeless look. We introduced burnt red-orange tones to add a pop of colour creating a little more personality in the space; these rich shades came in the form of artificial berry sprays and ceramics. Open display areas were ideal for mixing a combination of practical pieces, textured foliage, brass decor and artwork creating an overall eclectic mix. To complement the finishes around the impressive central island we went for elegant individually made Midas Bar Stools from Rockett St George. If you want a more contemporary look, these can also be purchased in matte black. Adding a natural, organic feel to the space, we displayed beautiful vintage insect prints and succulents to complement the colour and soften the edges of the kitchen. Whether you opt for faux or real planting it will automatically make an area feel fresh and energised. Colour has a fantastic uplifting effect on your living environment; it can work to enhance the available light and will add individual style to a chosen kitchen design. Green is the colour of balance, health, harmony and calm which makes it the perfect colour when starting your day. As in nature, green is excellent for promoting wellbeing, helping you to be at one with your surroundings, feeling at home. 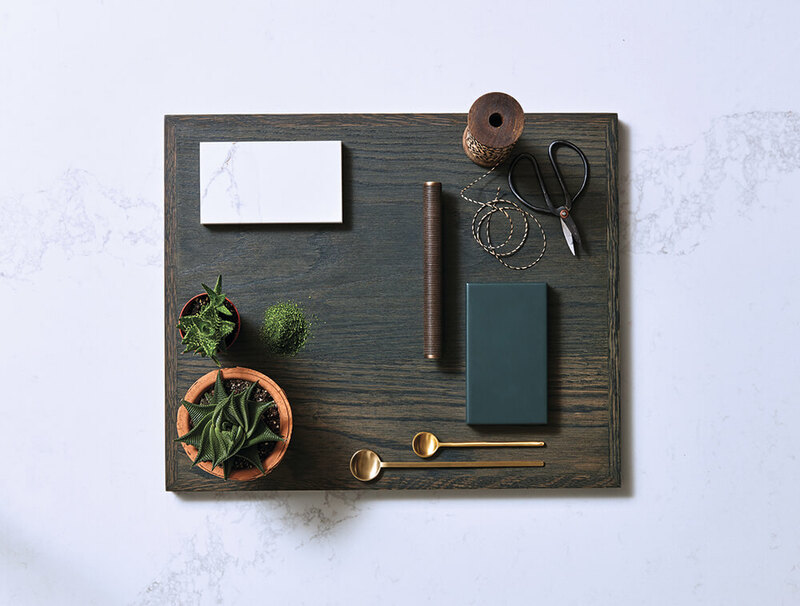 By pairing Avocado with soft neutrals, it creates an aesthetic that’s not too harsh or too cold. Trends come and go. However, green is here to stay. Avocado is a diverse paint colour that works with our warm greys and neutrals giving clients even more choice when deciding on the finishing touches of their kitchen. All of our colours and finishes are carefully selected ensuring we adhere to the principles of balance and timelessness. 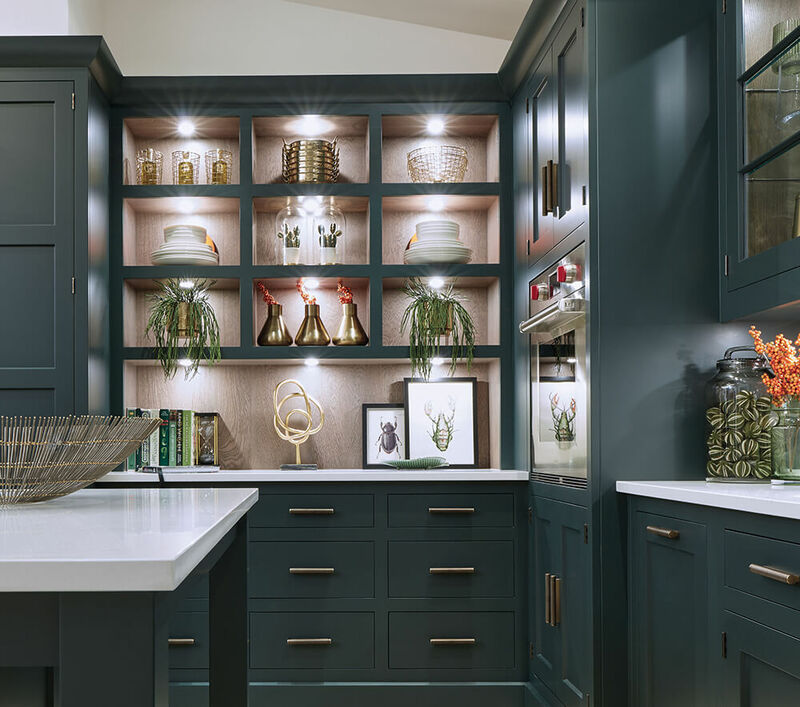 When deciding on the colour of your kitchen, our showrooms offer the perfect space to browse our luxurious paint and wood finishes and feel our exquisite worktop and hardware samples. Once you’ve decided on a colour combination (or two if you love them all), you can take samples home to see how they work with your own personal style and space. Why not visit our Wigmore Street showroom at 3 Wigmore Street, London, W1U1PB to explore our new dark green Kavanagh kitchen. 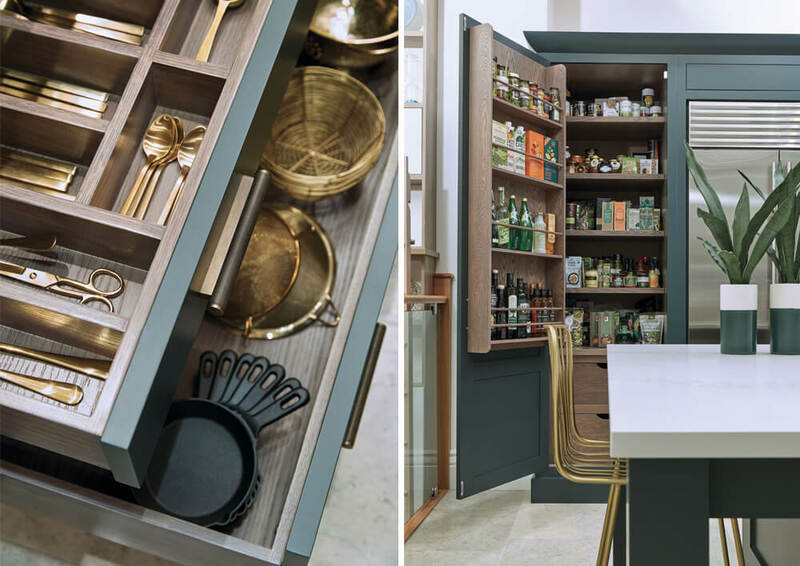 Discover all of our stunning designs by requesting our free 2019 brochure today or explore the latest trends, colour inspiration, kitchen ideas and more by visiting our Pinterest site.